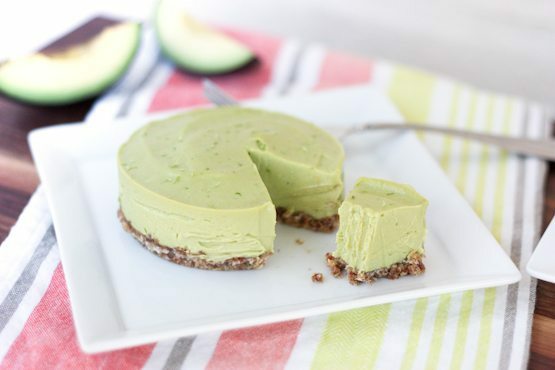 This lime and avocado tart has a creamy avocado coconut filling with a coconut pecan crust. 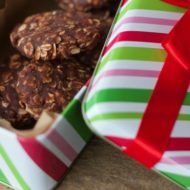 It’s super easy to make, vegan and gluten-free! Morning friends and happy Monday. I must say that waking up at 5:15 this morning was not a fun feeling considering it felt like 4:15 and I went to bed past mid-night. Did anyone else stay up extra late last night because you didn’t feel tired at your normal bedtime? Oh well, I guess I’ll get used the switcheroo in a few days and it will definitely be nice to have more sunshine in the evenings. Speaking of spring forward and spring, St. Patrick’s Day is right around the corner and I’ve whipped up a tasty dessert recipe to help you celebrate (that doesn’t involve beer or corned beef). 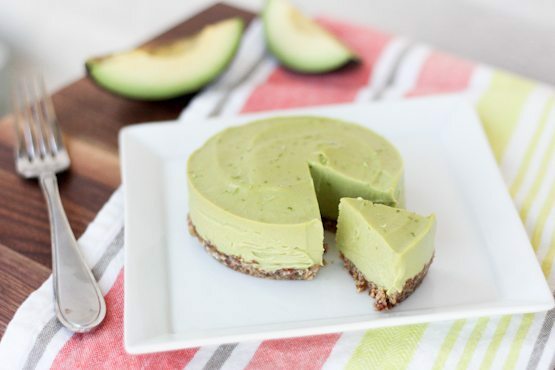 It’s a creamy avocado tart with a hint of lime… perfect for spring! I posted a photo on Instagram a few weeks ago when I made the tarts for the first time, but decided I needed to make them again to ensure the recipe was just right. 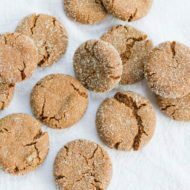 I added more agave to this batch and they turned out perfectly — not too sweet, but sweet enough and not too tart either. I love the creaminess and the green color. So festive. I used 4-inch springform pans and made two small tarts, however these would be absolutely adorable in the mini 2-inch springform pans and you could make one large tart as well. Or you could even put the ingredients in small ramekins or a mini cupcake pan. Just make sure the tarts are pretty frozen when you go to get them out of the cupcake tin or else you’ll mess them up. Once the tart has become firm in the freezer, it’s ready to serve. You can take it out to thaw for about 10-15 minutes before serving. You can certainly eat it earlier if you like the frozen texture (which I do) — just test it a little to see which way you like it best. As I mention below in the recipe, if you let it sit out too long, the filling will get pretty soft, almost like a pudding so make sure to put any leftovers back in the freezer. The best part = these little tarts are made with all natural ingredients and packed with healthy fats from the pecans, coconut and avocado! They’re raw, vegan, gluten-free AND creamy and rich without being over the top sweet. They work great to satisfy a craving for key lime pie or even ice cream… with only a small piece. I found the four-inch tart is the perfect size to serve 3-4 people. Process the crust ingredients (coconut, pecans, dates, lime zest and sea salt) in a food processor or mini chopper until the dates have turned into sticky paste holding the crust ingredients together. Take mixture out of the processor and press evenly into two mini springform pans. Place pans in freezer while you make the tart filling. While the crust is setting in the freezer, blend ingredients for the filling (avocados, lime juice, agave, coconut oil and lime zest) in a high-speed blender or food processor until creamy. Pour half the avocado filling over the crust in one pan and then pour the remaining filling over the crust in the second pan. Use a spoon to make sure the filling is even and smooth. Place pans in the freezer to set up, at least 2 hours, but can be overnight. Take out of freezer, remove the springform pan, let sit out for 10-15 minutes, cut into slices and serve. The longer it sits out, the filling will soften and become more like pudding. It still tastes amazing, but not as firm. Store any leftovers back in the freezer. Enjoy and happy early St. Patrick’s Day! These look delicious Brittany! I can practically taste them already and I think I’m in love! To say the least, this is much more elegant than the requisite green St. Patty’s Day beer! I’m also loving that this is both gluten-free and free of refined sugar. Thanks! They are absolutely adorable. I am totally making these! That looks SO good, Brittany!!! Yum! I can’t wait to try this! Thanks for this recipe. I am wondering if the pie is left out does it turn brown? wow these are so adorably beautiful! I love the color. I cannot wait to try these. Thanks so much for sharing. This is so cute and looks sooo toasty! it’s almost too pretty to eat! the nutty date crust sounds divine. Yum! This looks really, really good. Love the lime and avocado combo. These make me crave spring and look highly professional might I add! They look and sound delicious – I just put limes on my shopping list for today!! This looks delightful! I’ve been looking for a good key lime recipe. Would you say that the avocado has an overpowering taste? I am wondering is there a possible substitute for the dates? You could substitute another sweet dried fruit like raisins or apricots. This recipe really is mouth watering… can’t wait to try it!!! made this yesterday and it’s hands-down amazing… tastes better than any regular, sugar-packed key lime pie i’ve had. I can’t say enough good things about this, make it asap! Oh my goodness. That looks absolutely DIVINE. I have been loving sweetened up avocado lately, especially with orange, cinnamon, and honey. I can only imagine how beautifully this all comes together. Thank you Sarah! I’ve just started experimenting with avocado in desserts and it’s been awesome so far. I loooove chocolate avocado pudding. Celina, I made this and surprisingly you can not even taste it was so ever. It has only the lime taste along with the taste of the nutty crust! I think you maybe very surprised!! I loved it!! Hi Brittany, This recipe was amazing! 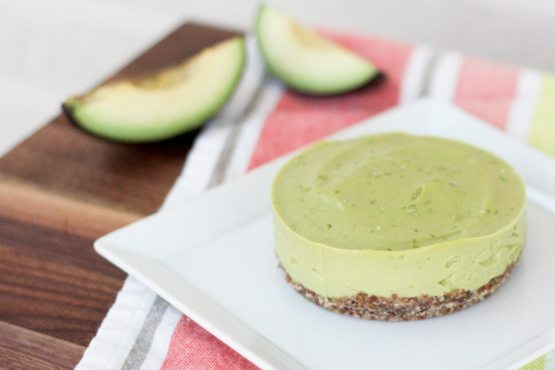 The crust adds the perfect amount of crunch and the avocado is hardly detectable! I just started eating clean a few months ago, and I am amazed with the results so far. I’m so happy to have discovered your blog the other week. I loved your Sinless Samoas, Protein Pancakes, Cauliflower Pizza crust, and no bake cookies. Can’t wait to try more. Thank you for the great tips! Hi, This looks amazing. What size pans did you use? And if I don’t have small ones can I use on 9″ springform pan? I can’t wait to make it! I used mini springform pans that are 4″. I think you could use a 9″ though! These would be so much easier than squeezing the juice out of all those little key limes for pie…and yes, I’ve done that before. Love the concept. Slice them in half and use a (really clean) garlic press! Much easier than squeezing individual tiny limes. Brittany, these Tarts are creamy and “key lime pie” tasting!!! Yummy! I just wanted to know if you have the nutritional breakdown ? I’m on weight watchers and I need to put the points down! Thank you for the great recipes! These are soooooo good, and guilt free! I will be making them again! Yay! So glad you enjoyed the recipe. Brittany, I love this idea. I went on a creamy lime and avocado kick in March right after a had my son. A friend brought this pie over and noted it for its super powers for a postpartum mother. 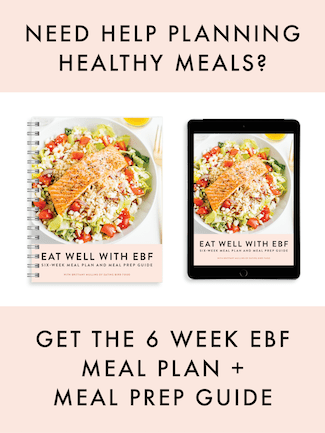 I made one and ate one daily for weeks(I know not a good idea, but having just had a baby my cravings were intense.) I just rediscovered this recipe and want to thank you, it’s so yummy. Thanks so much for commenting Ashley. I’m so glad you enjoyed the pie! I love the look of these and will be making one this weekend. One question though, what could I substitute for the coconut oil? Ihave a friend who would love these too but she is allergic to coconut. I haven’t tried it with any other oils but you could try substituting another oil. Let me know how it goes and enjoy! could you possibly try cacao butter or another nut butter like cashew or something? A girlfriend of mine made this for a tea party yesterday and it was by far the best key lime pie I’ve ever had. It took a little persuasion on her part to convince us that it was refined sugar free and vegan. People, try this recipe you will not regret it. So glad that you liked it Dale! Thanks for coming here to comment and let me know. It makes me so happy to know that you all enjoyed it. So glad you went back into your archives and featured this post on Facebook today! I hadn’t seen it before, and it looks amazing! I’m obsessed with using avocado in desserts and smoothies. This is right down my alley! Awesome recipe! For the crust I used walnuts, honey, coconut and coconut oil. I only had lemons and coconut sugar…but it was very good! Thanks for the idea!!! Your recipe looks yummy. I made a variation of this a couple of weeks ago using lime, a banana, stevia and an avocado, and making soft ice cream in my Donvier ice cream maker. The avocado makes an incredibly creamy ice cream. I want to give your recipe a try because it can go back in the freezer, and the crust will just add more yumminess. I would substitute liquid stevia for the agave. Did you use medjool dates or regular? Thanks! I used medjool dates but I think either would probably work. Did you use almonds or pecans? Pecans. Why do you ask? 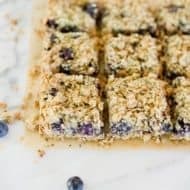 I’m not vegan but found your recipe from another blog I read. Made for my family & we all loved except for my daughter. My 13yr old son loved it! So tart & limey & the crust was to die for. Reminds me of my homemade lara bars but better w that lime zest added to it. I know what I will be adding to my next batch of homemade lara bars! Thank for a creative, delicious recipe! 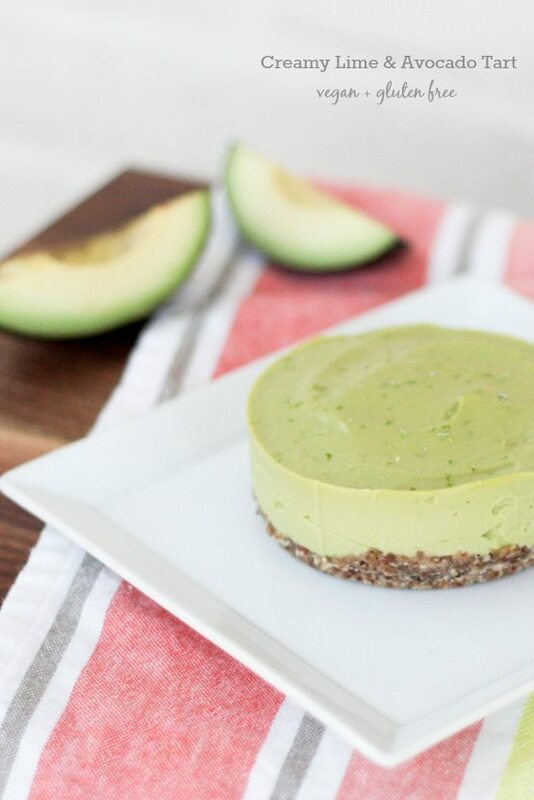 Avocado is so versatile I’ve started to use it more and more in dessert recipes and I just love this one. Would it work to substitute pistachios for the pecans in the crust? Hi Tony! Yes, I think pistachios will definitely work. This is a beautiful recipe. My 14 yr old daughter has it as her signature dish primarily because it tastes so good. The bonus is that it’s nutritious and full of the good stuff. Thank you very much! 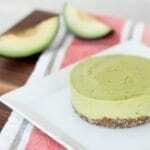 In the lime avocado tart you call for 1/4 cup coconut, or agave nectar or honey. Question the coconut vs 2 other liquids. Are you thinking coconut or coconut oil, because you just say coconut, and the next ingredient down is coconut oil. This was delicious! 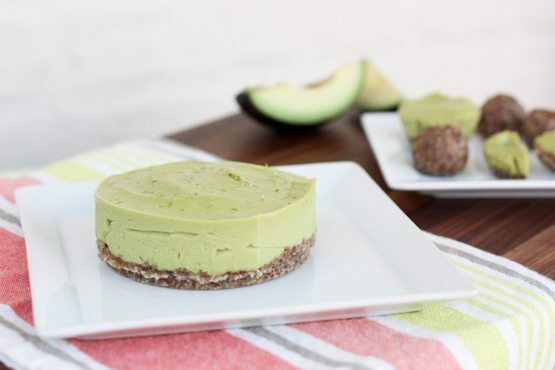 I was in a hurry so used a pre-made graham cracker crust with the filling recipe and it was quick, easy and so delicious my friends had no idea it contained avocados! Hello! I just have one quick question! Is the nutrition information for one slice? Or the entire tart? I’m just curious since there’s no serving size. But I’m definitely planning to make this this Christmas!!! Happy holidays! Hi Rein. If you use two mini springform pans and cut each into four slices, you’ll have a total of 8 slices and the nutritional info is for 1 slice. I hope you and your family enjoy the tart. Can I use maple syrup instead of honey or agave nectar?